Looking for a cookbook full of horror recipes and horror movie inspired food for yourself or the horror fan in your life? 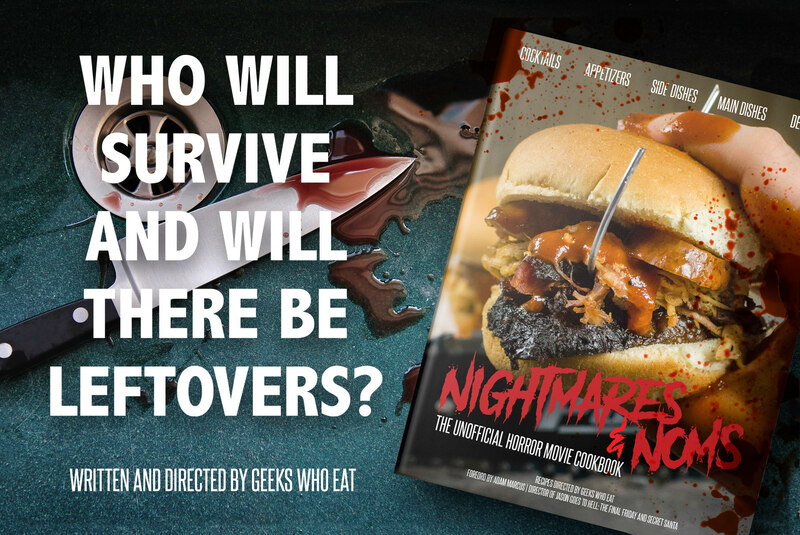 Nightmares and Noms: The Unofficial Horror Movie Cookbook is just the thing! Chock full of recipes inspired by classic and contemporary horror films, you won’t be disappointed by these recipes for ghoulish grub! Initially, we will be releasing Nightmares and Noms: The Unofficial Horror Movie Cookbook in an e-book. It will feature some of our favorite horror movie recipes from the website as well as several new ones! Be sure to check back here often as we will be updating you on the status of the e-book! Also, we will be sharing behind the scenes “bonus features”! So check back often! Sign up now to get the latest news and be the first to know when Nightmares and Noms pre-orders are live!